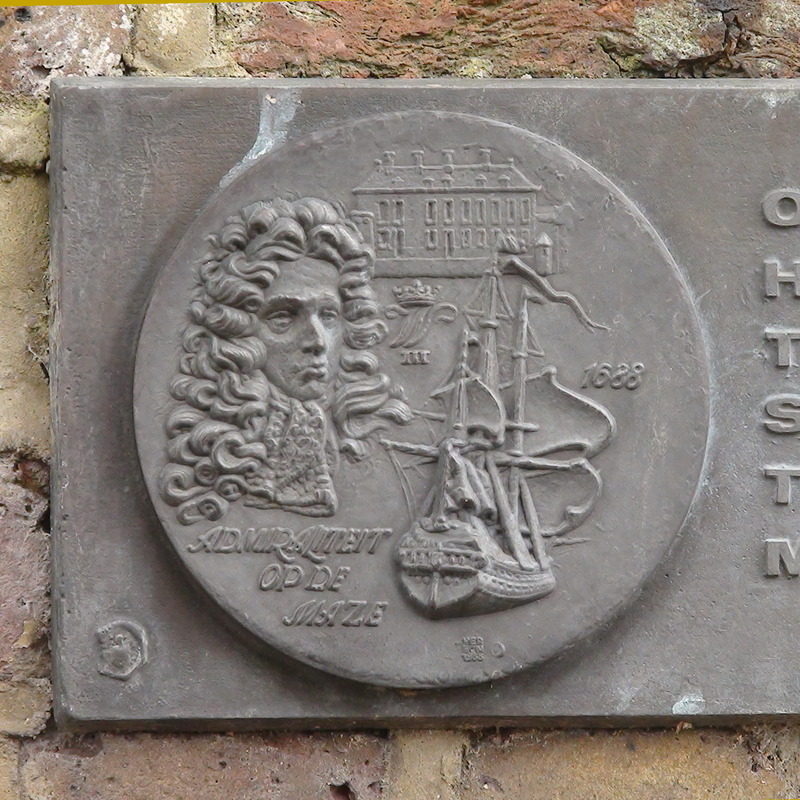 On the occasion of the visit of HM Queen Beatrix of the Netherlands this plaque was presented to St Katharine’s Dock by T. W. F. Flottilla to commemorate 300 years of Anglo-Dutch Maritime Friendship. 29 June 1989. We've not done well with this memorial. Can't explain the connection (assuming there is one) between King William and St Katharine's Docks. 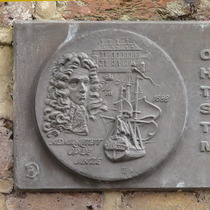 Nor why the Admiralty of the Maze/Rotterdam has been chosen to be named rather than any, or all, of the other 4 Dutch Admiralties (and the sculptor also coming from Rotterdam suggests a connection). Nor can we identify the building shown on the roundel. Kensington Palace is a candidate but we can't see any resemblance. And we don't even know if T. W. F. Flottilla is a company or a person. Rubbish really! Of the three plaques in this picture the left-most is a modern information panel explaining how locks work so it does not qualify for our attentions. London Details gives some interesting literary references to St Katharine Docks. A company, a person? We can find no information. Sculptor. Born and worked in Rotterdam.